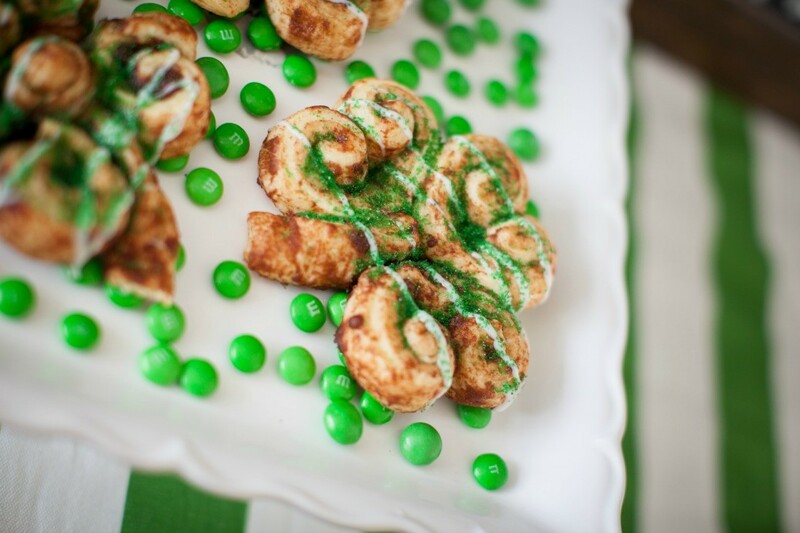 Here’s a little green breakfast fun for you to share for St. Patrick’s Day. 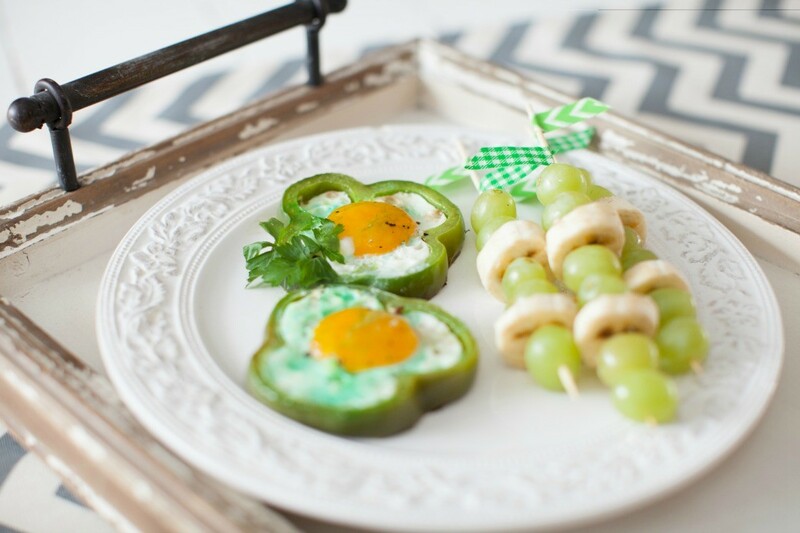 Celebrate with our St Patrick’s Day green bell pepper eggs; they’re magically delicious. Seriously, they’re the perfect balance of savory combined with the right amount of crunch in the green bell peppers. This dish is perfect for a lighter breakfast when paired with a simple skewer of fruit, or for a heartier more filling breakfast pair with either a breakfast sausage or bacon; combined with a side of whole wheat toast and homemade jam. If you really want to go all out and take this St Patrick’s Day breakfast to the next level you could add a nice slice of ham or a petit steak accompanied by a side of homemade muffins. Whatever you decided to do this breakfast is festive and delicious. 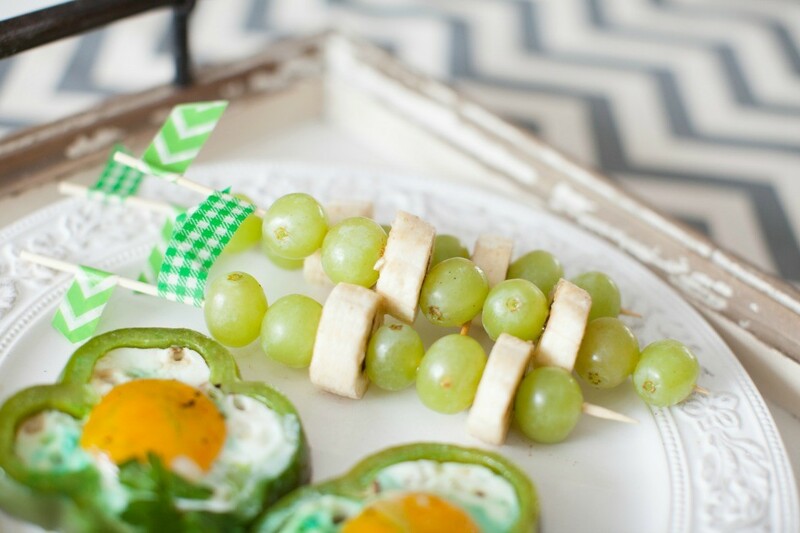 To enhance the festive look we added a few adorable accents to our St. Patrick’s Day plate and dressed it up by adding a couple of little green washi tape flags to our fruit skewers. We finished off the look by giving them a diagonal cut to create the flags. All you need to do to achieve this look is pick up some green patterned washi tape at the craft store or Wal-Mart and simply wrap it around the skewer. It couldn’t be easier. We are washi tape FANS! It’s so versatile and inexpensive when it comes to that little something extra; you can use it to accent almost anything! Set your eggs out to begin to come to room temperature. 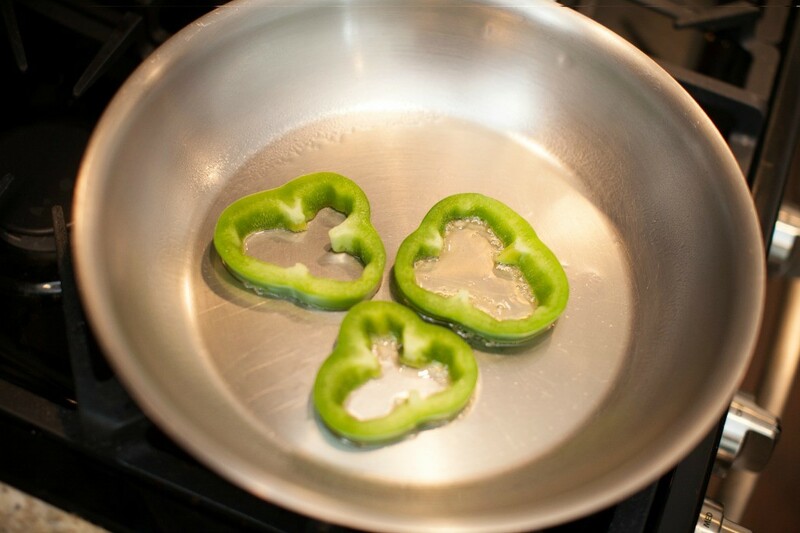 Cut your green bell peppers across the width of the into ¼ – ½ inch slices. Cut out the middle of the peppers with the seeds and discard. Heat a large skillet on medium high heat until water beads up and dances around. 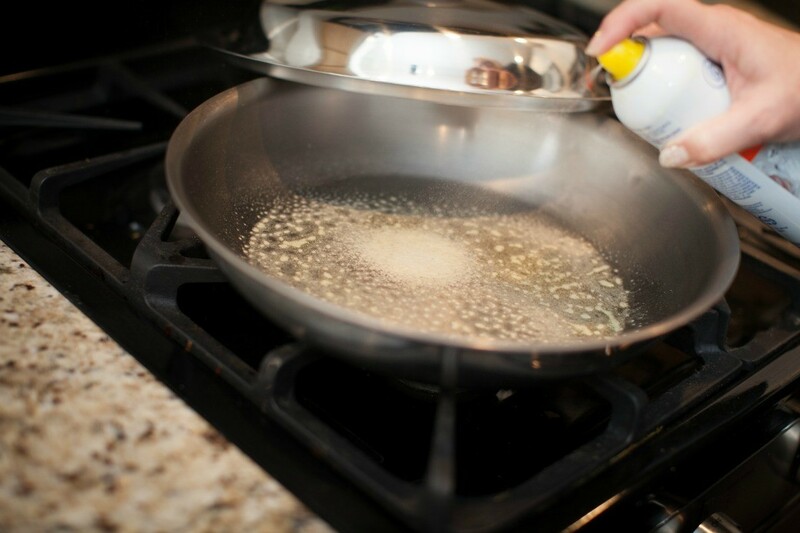 Spray a very generous amount of cooking spray in your skillet. Add your green bell peppers to the skillet and push them down will a spatula. 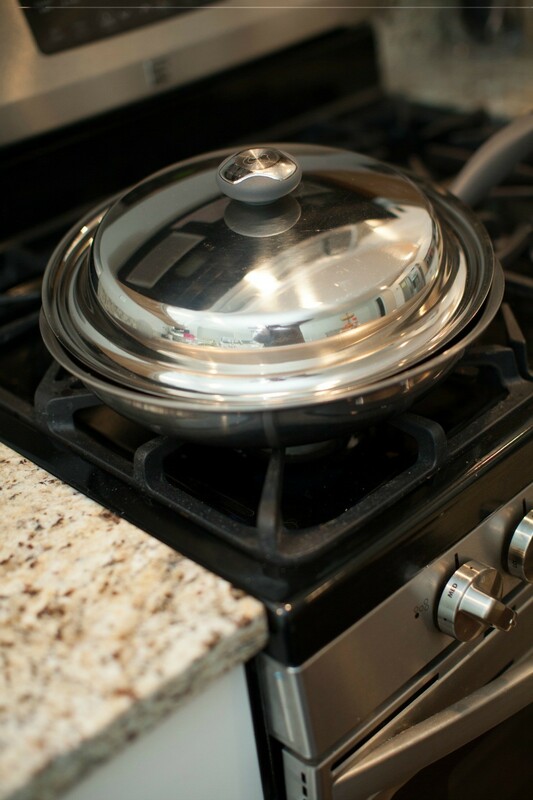 Turn heat down to medium cover with the lid slightly ajar for 3-5 minutes. 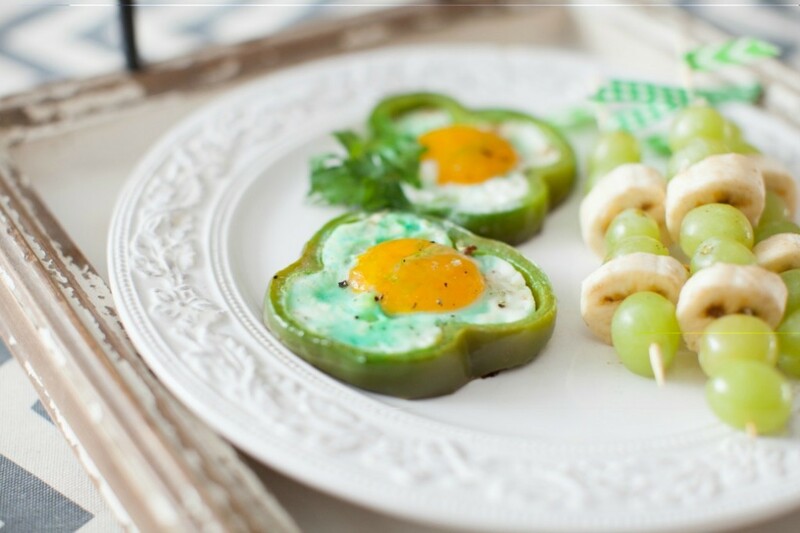 Add some additional cooking spray to the pan and spray the inside of the green bell pepper before you add your eggs. 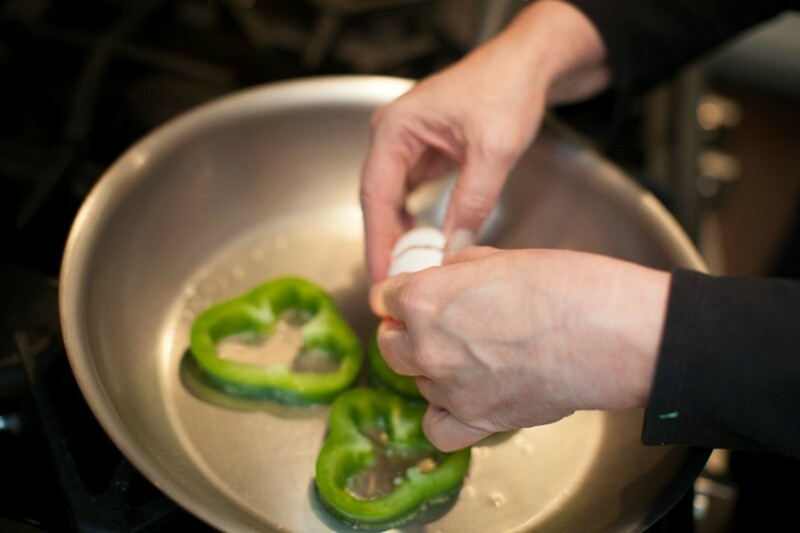 Slowly pour your cracked egg into each bell pepper, allowing the whites to cook before you add the entire egg. This will happen fairly quickly. Add a sprinkle of salt and pepper to your liking. Replace the lid with it slightly ajar and cook for 4-6 minutes depending on how well down you like your eggs. Your yellows will actually be pretty done at this time. They will have the look you see in the picture. If your egg whites seeps out from under the bell pepper don’t get to worried; you’ll be able to cut that off with a knife to achieve the finished look in the picture and its super easy.